I started off just detailing the "import" and "own" sections to each jurisdiction, before realising that "domestic purchases" and "selling" should also be included, so had to go back over completed sections and scour their websites all over again. The NSW section has been the most complicated so far... and I'm yet to get official information for WA, SA, ACT, TAS and NT. The NSW, VIC and QLD details are yet to be verified from the official sources. I will add or update details when known. 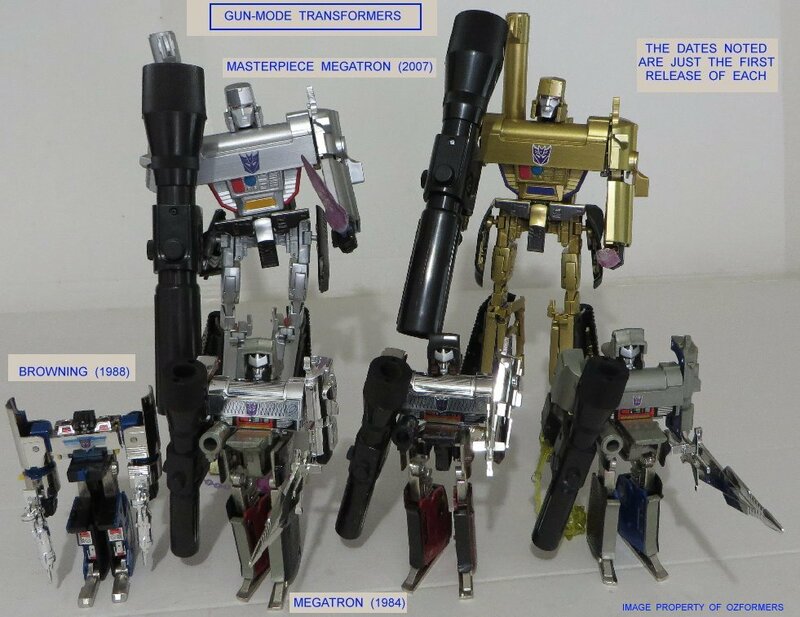 To further complicate the NSW laws section, I recall when the ruling came through on the MP Megatron that they were waiving the $75 fee for that specific item. I'm not sure if that's still the case. 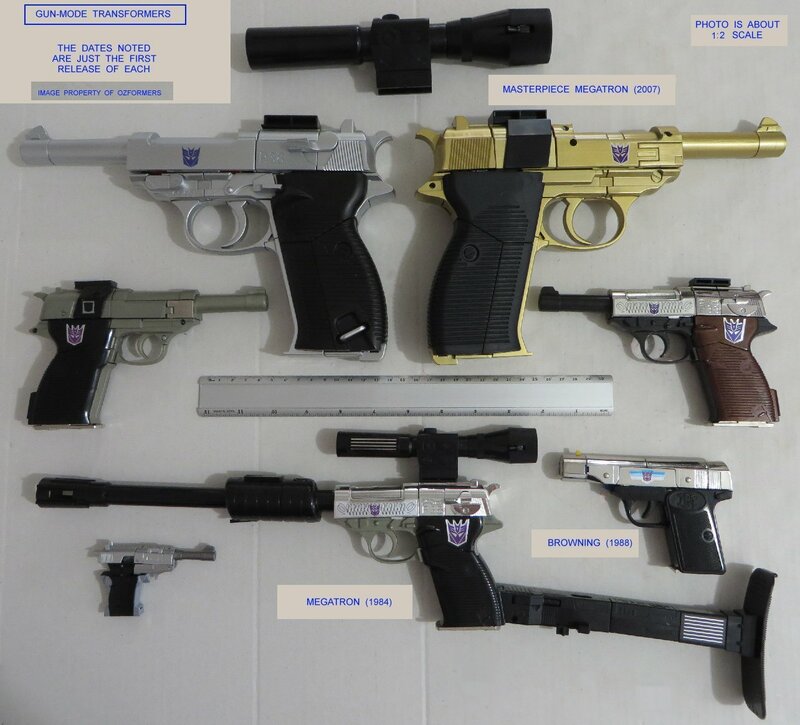 I had to do another search, using the form number on the Megatron Club site, and it looks like Tiby had organised the gun toys to be grouped under the "Prohibited" weapons classification instead of the "Imitation" weapons classification that I had first come across. And will check from the official source (when they reply to my earlier email), IF Gun-Formers are still applicable as "Prohibited Weapons", or just "Imitation Firearms"... or both. If classed as a Prohibited Weapon, and IF they still waive the fee for the toy, the 5-year permit will cost $50 due to the Club fees, compared to the Imitation Firearm permit costing $75 for 5 years. I'll have to go back to each Police website and look again. I've added a second photo showing their robot modes... for reference to non-collectors. I am in the process of replacing the first photo with my own group photo. 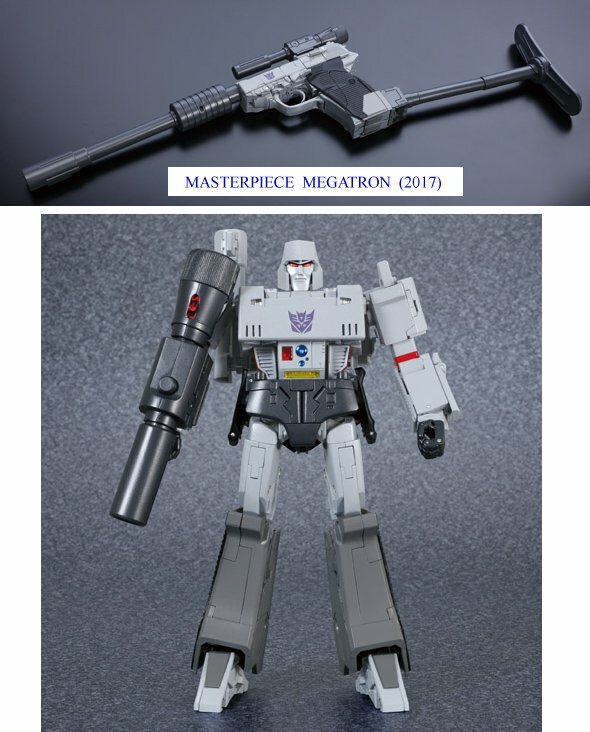 I have also done some minor edits after chatting for a while to some Customs officials today when picking up my Gold Masterpiece Megatron. So far I have had email replies from NT, TAS, WA, VIC, and NSW... which I will update their sections over the weekend. Still waiting for replies from QLD, SA, ACT, and Customs. Just posting up the raw data from the Jurisdictions that have so far replied, so that people can see exactly what has been officially said, so that you can trust the info in the first post. Just waiting for SA, ACT and Customs now. One thing I'd like, is to have this page (or an actual webpage on the server) used for reference by Policing and Customs for themselves to keep track of the different jurisdictions (on this very minor/trivial element of the Criminal Justice System), and refer collectors to if they have any queries. I will leave it to other jurisdictions to correct the wrong information pertaining to their jurisdiction. Please find below the explanation for the management of replica/imitation firearms in Tasmania. The definition of a 'firearm' in the Firearms Act 1996 includes 'an imitation other than a toy'. It is the size and features of the item which make it an imitation, not the colour. If it is clearly a toy it is not an imitation firearm. If it could reasonably be taken to be a firearm then it is considered an imitation firearm. Licensing & Regulation Division is in receipt of your email seeking clarification on the legal requirements to possess a imitation firearms. Membership to a Megatron club is still required. Imitation firearms are not required to be registered and no PTA is required to purchase them. To purchase domestically - Yet to be confirmed if a Permit to Acquire is required. To sell - Waiting for confirmation, but looks okay to privately sell, if the buyer is permitted to own one in their jurisdiction. Replica Category H firearms are not subject to licensing and registration requirements within Queensland and do not require permit to acquire to acquire. There is also no issues with privately selling them after purchase etc.